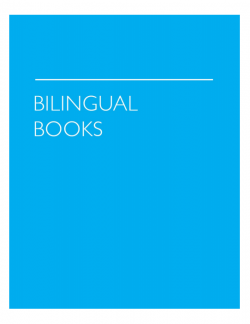 Bilingual Books is the leader in foreign language publishing, with more than 50 titles in 20 languages. Kristine K. Kershul’s commitment to frequently update, refresh and fine-tune is a reflection of the high standard of quality which has led to the trademark success of Bilingual Books. For more information on Bilingual, contact Ampersand.